Russian men are risking death by drinking aftershave and cleaning agents, a study has suggested. 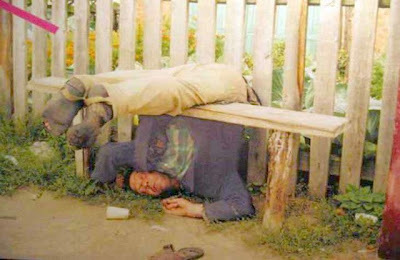 UK researchers estimated that half of all deaths in working age men in the country are due to hazardous drinking. The products, which also include herbal tinctures sold in pharmacies, are widely available, cheap and contain up to 97% alcohol, the Lancet study says. It was found that they contain very few toxins but are deadly simply because of the extreme alcohol levels. Russian men have an "exceptionally low" life expectancy of 59 years, compared with 72 years for women. Men of working age are three-and-a-half times more likely to die than men in Britain. Past studies have shown levels of alcohol consumption among the Russian population, where spirits such as vodka are popular, are high.